Last week I went to see #bladerunner2049 : it was visually so beautiful that a couple of nights ago I did this quick #gouache study using a screenshot from the trailer as a way to learn from the composition and lighting. I painted it in my Moleskine #sketchbook (8.25″x5″) on a yellow acrylic underpainting (to cover an old lousy #sketch). 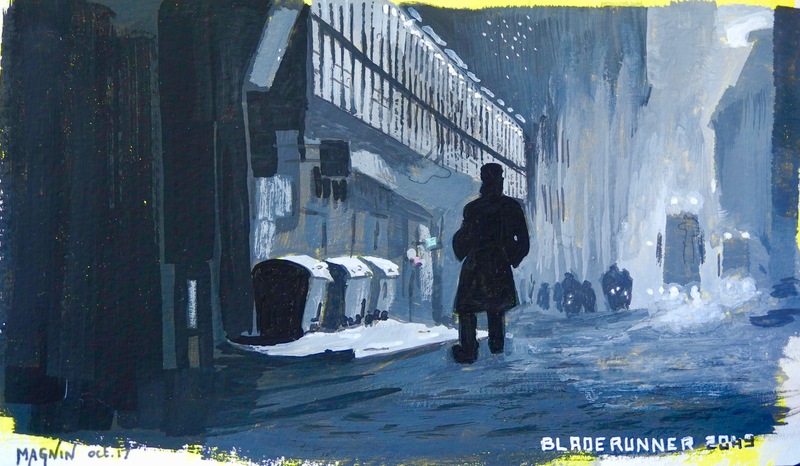 Blade Runner 2049: This is a quick #gouache study of Blade Runner 2049 I did using a screenshot from the trailer as a way to learn from the composition and lighting. See all my sketches and paintings here.